Hahaha! Oh... these are all such good expressions! 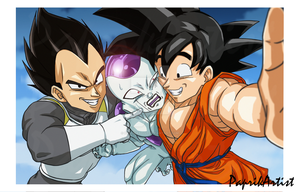 Vegeta and Cell's expressions are especially hilarious!! These expressions are all priceless hahahah!!! Looks great! 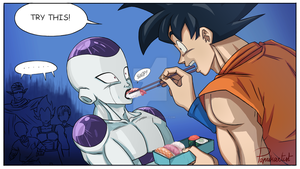 You should definitely make more art with the characters from Super. You draw them all so well, especially Cabba and Caulifla. Keep up the great work! 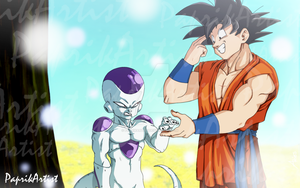 This has to be my most favorite piece featuring the DBS new guys! Love it!! Silly things are the best kind of things!!! hehe! I love expressions! So life like! Me too. It's so fun! Personally, I saw this as their reactions if someone had confessed to them. Stupid dA wont let me comment normally ?? ?